BENCOR designs and manages benefits and retirement programs for educational, governmental and corporate employers and employees. Findsome & Winmore updated BENCOR’s branding and created several collateral pieces and videos customized for the firm’s 34 Advisors, which serve as selling tools. 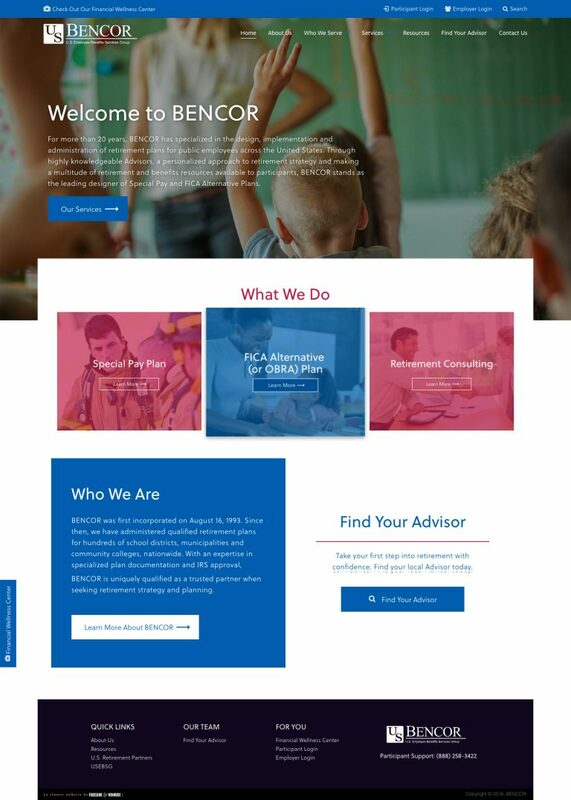 In addition, Findsome & Winmore redesigned BENCOR’s website to match the design implemented on its parent site, U.S. Retirement Partners.